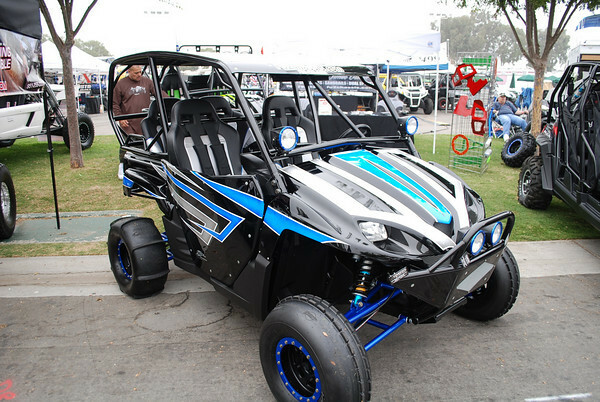 Southern California dune season is right around the corner and the traditional start to the season is kicked off at the annual Sand Sports Super Show. 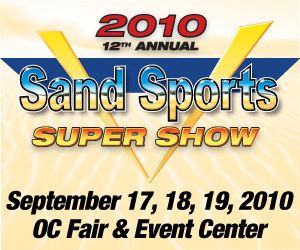 This year’s show was held on September 17, 18 & 19, 2010 and it was the 12th annual show. 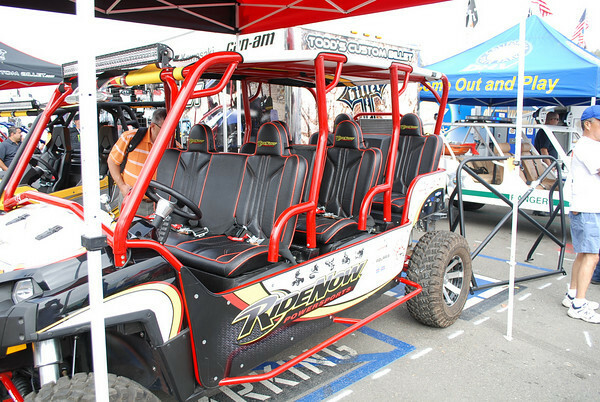 In this tough economy, it was great to see a solid turnout for exhibitors and even more than that, the number of people crowding the Orange County Fairgrounds was quite impressive. 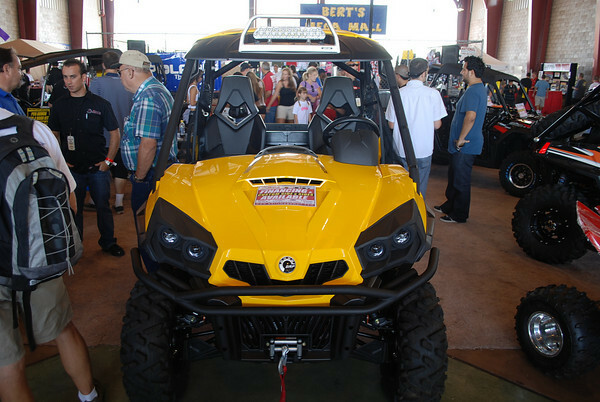 Everyone I talked to said sales were better than expected. 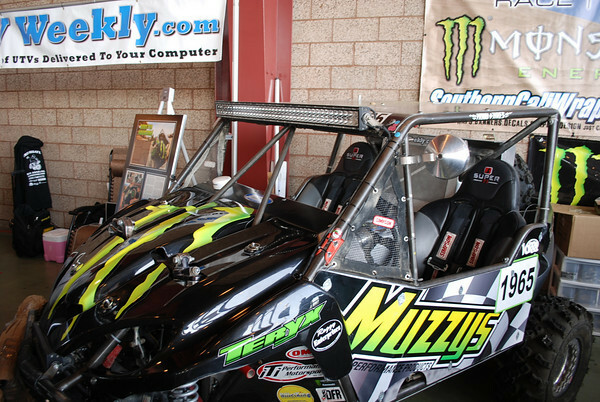 Let’s hope we are now on the upswing and better times are ahead of us. 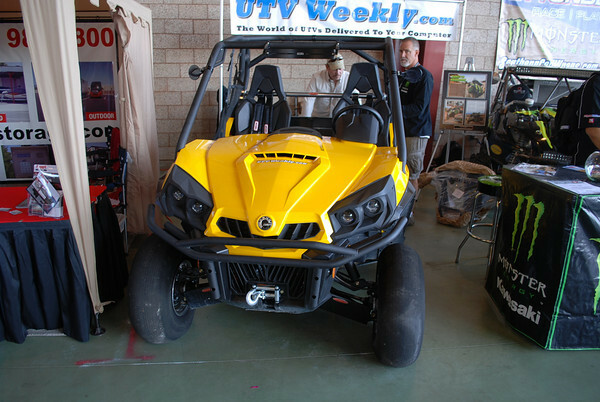 The UTV market segment continues to grow. 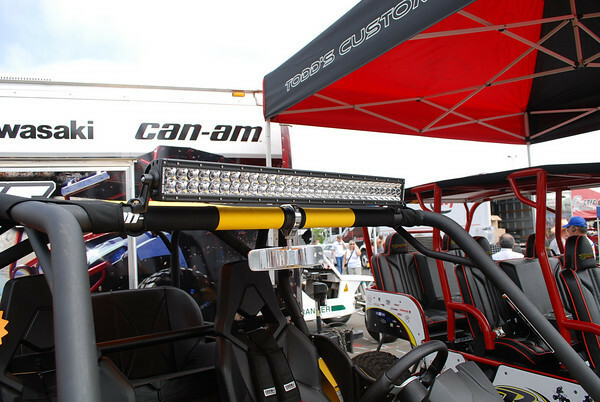 With the Can-Am Commander being the the newest side x side on the market, I was hoping to see lots of new products on display. 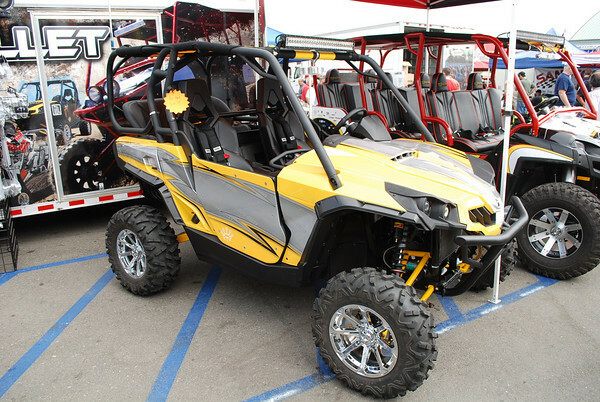 Unfortunately, they were just starting to hit dealers showrooms when the show started, and only a few aftermarket companies were able to get their hands on a unit with enough time to build something. 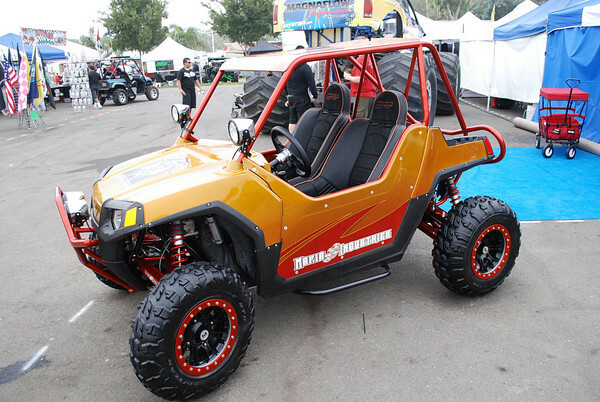 On the short list were DragonFire Racing and Todd’s Custom Billet. 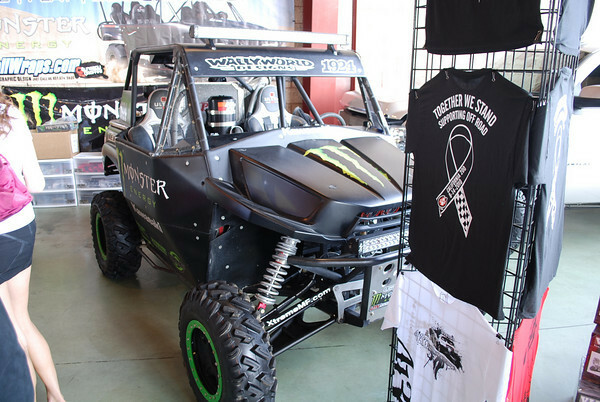 Both of their Commander’s sported roll cages, bumpers and long travel suspension. 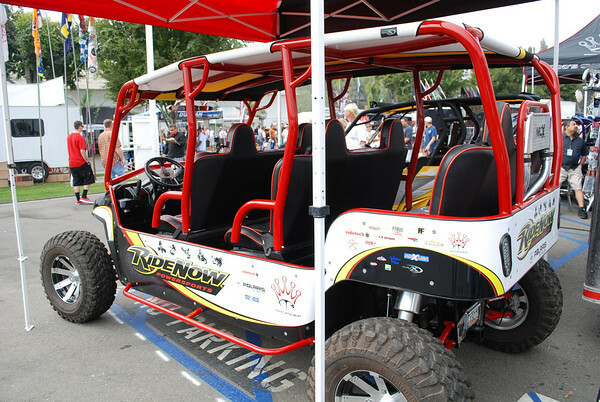 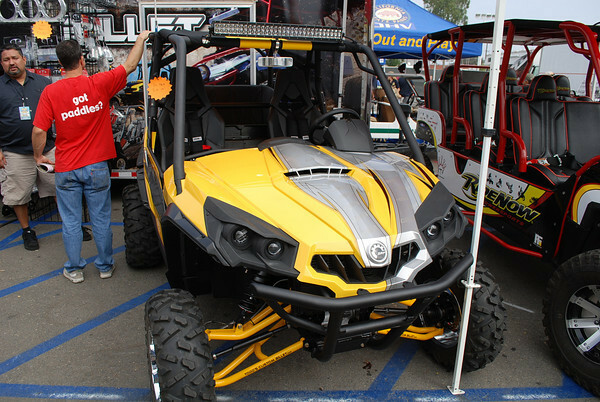 I had my demo Commander 1000 XT in our booth and it had a new Muzzys dual exhaust, Axia Alloys mirrors and paddle tires from Fullerton Sand Sports mounted on OMF Performance billet center beadlock wheels. 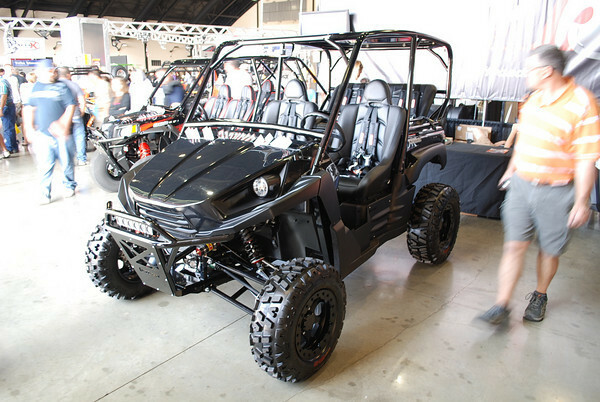 I expect that in just a few more months, the market will be flooded with new Can-Am Commander products. 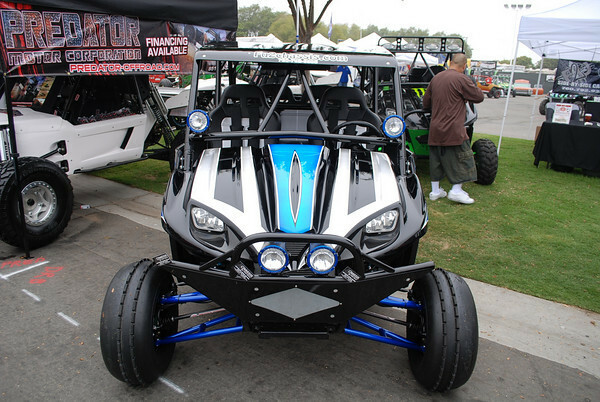 It will be an exciting dune season to have a Commander. 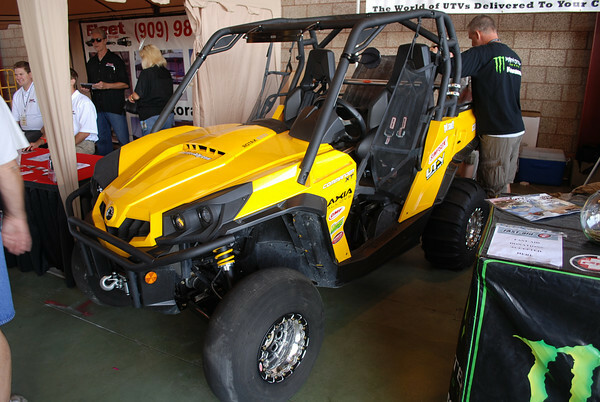 This 2011 Can-Am Commander 1000 X features TCB’s new +4″ long travel with Elka Stage 4 shocks. 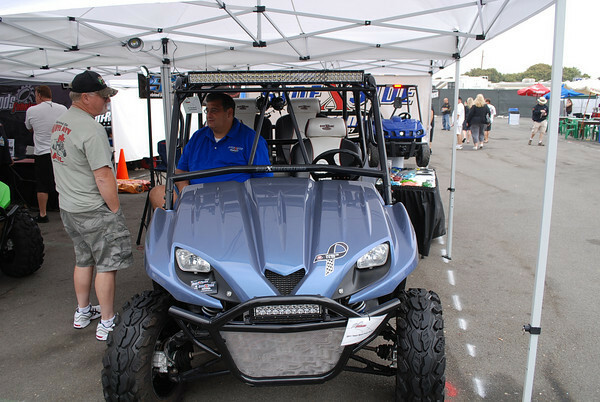 A new TCB front bumper, opening doors and a bolt-on rear cage. 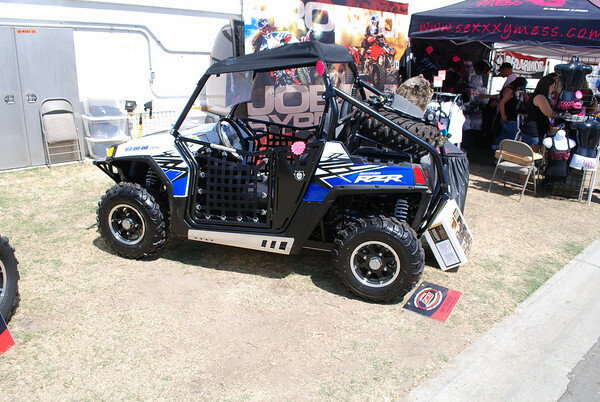 Custom paint, Rigid Industries LED light bar, Crow harnesses and a TCB billet mirror. 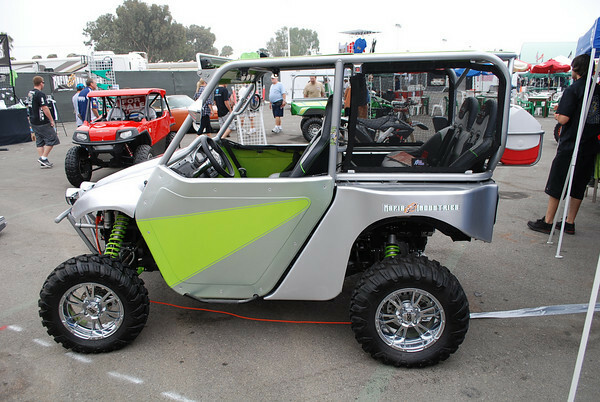 This thing is ready for dune season. 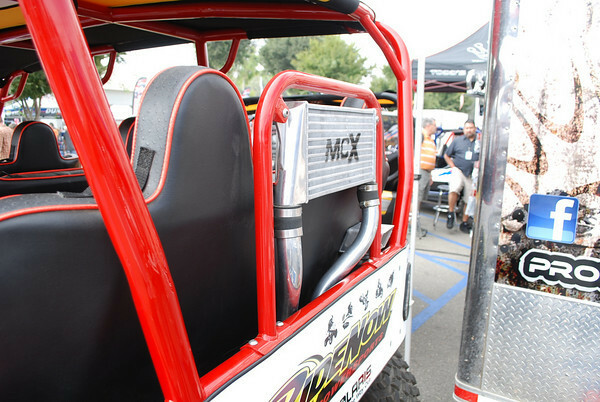 Larry Roeseler Signature Edition long travel that will soon be available from DFR. 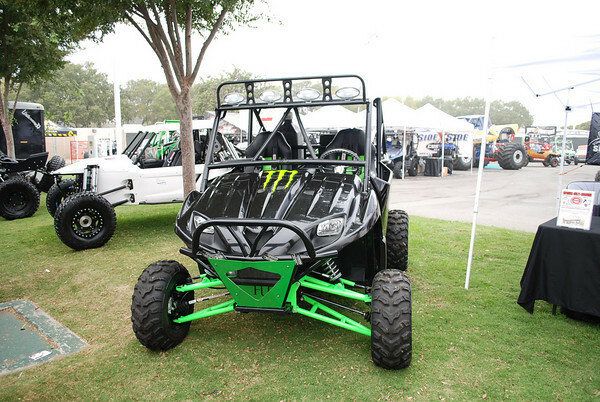 This 2010 Kawasaki Teryx is all about business. 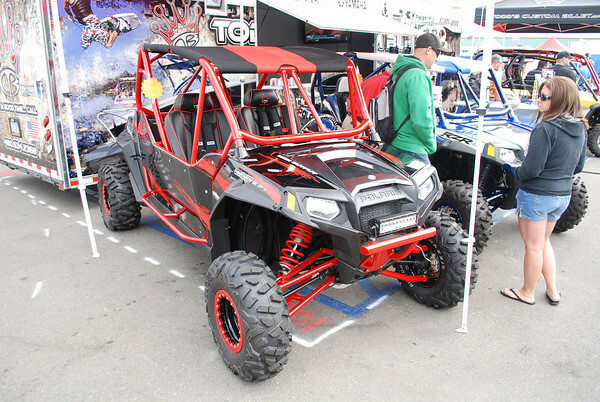 +6″ DFR long travel a-arms with relocated shock towers front and rear enable extra long Fox 2.0 shocks. 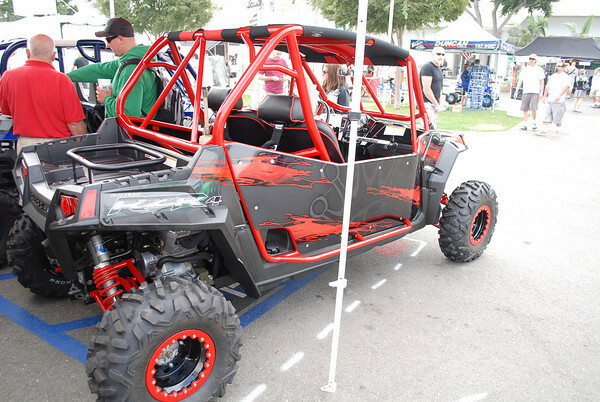 Bed delete, with a slight radius roll cage. 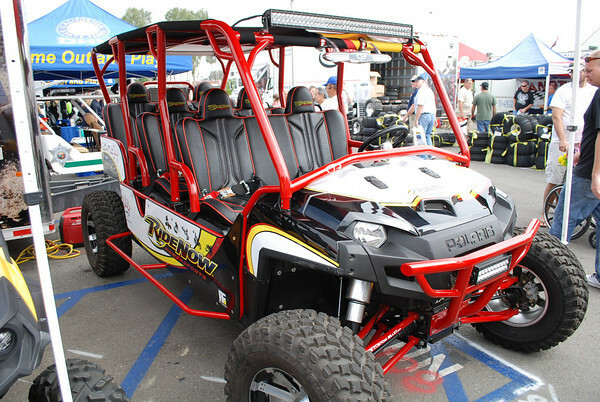 DFR Sport harnesses and seats. 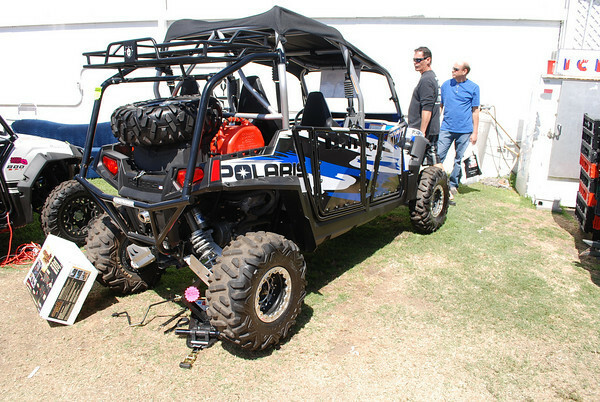 DFR Baja Crippler 14″ beadlock wheels with ITP BajaCross tires. 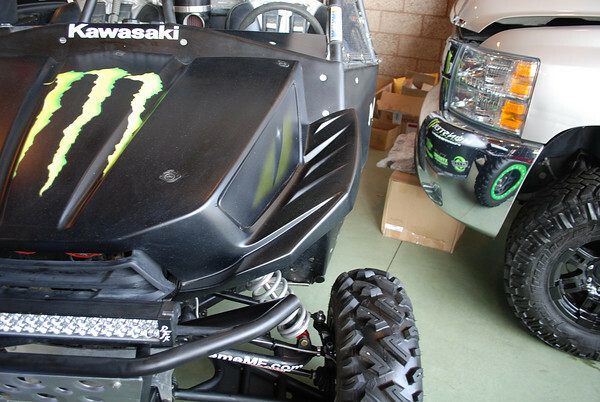 And under the hood, a DFR 840cc fuel injected v-twin. 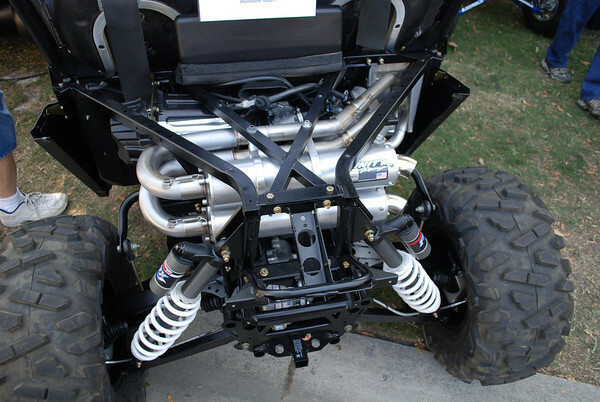 This new CVT for the Polaris RZR is made by Supreme Tool and is just a piece of art. 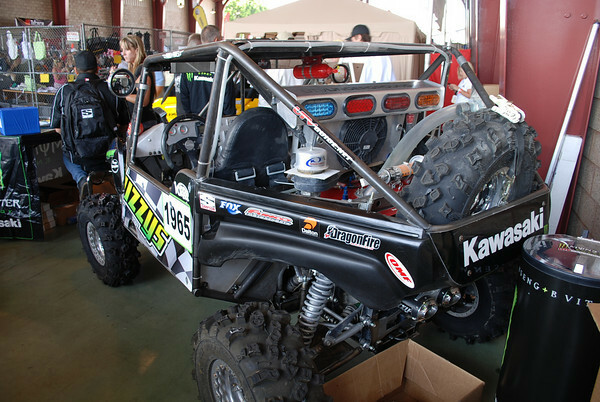 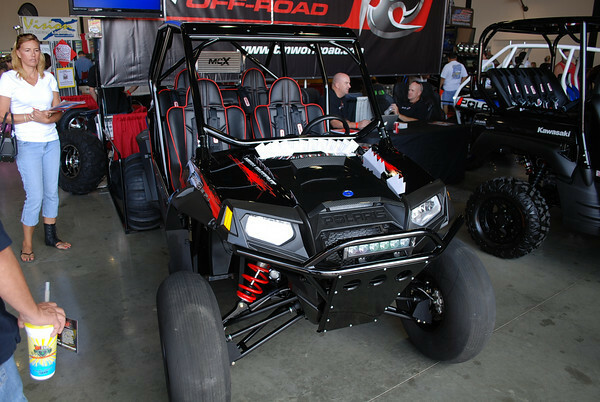 It was in the K & T Performance booth alongside all of their turbo RZR goodies. 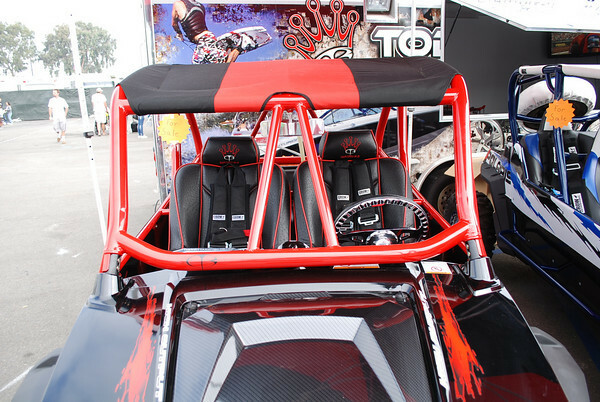 Stay tuned for more from Supreme Tool. 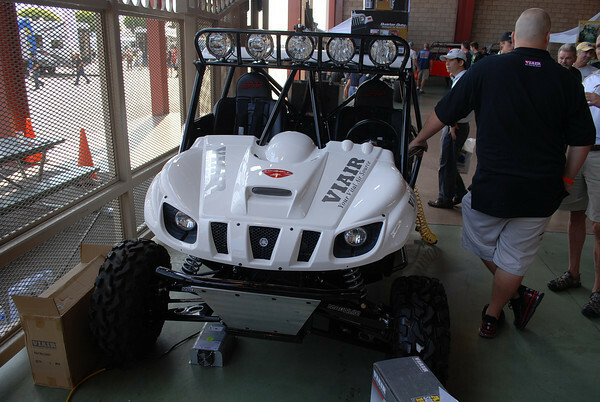 They are working on a Kawasaki Teryx next, and will then turn their sites on a Can-Am Commander. 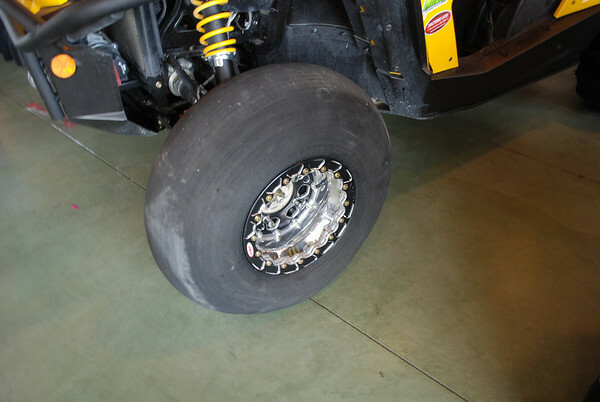 The new SxS MT tire from Raceline wheels is a 6-ply UTV tire that is available in sizes from 25″ to 30″. 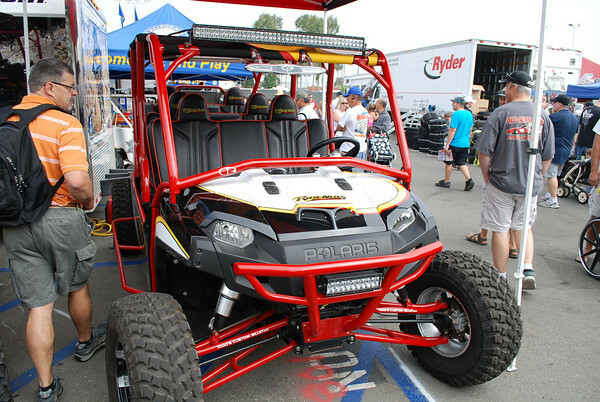 I found a set of 30″x14″ SxS MT’s in the DFR booth mounted on a set of DFR Baja Crippler beadlock wheels which were mounted on their Polaris Ranger. 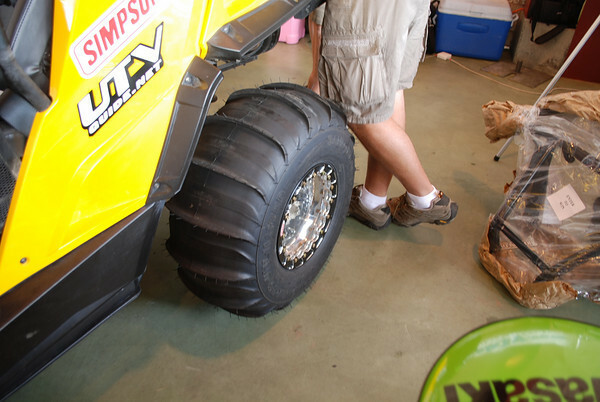 With long travel the Ranger was setting pretty high and the new 30″ Raceline tires finished it off perfect. 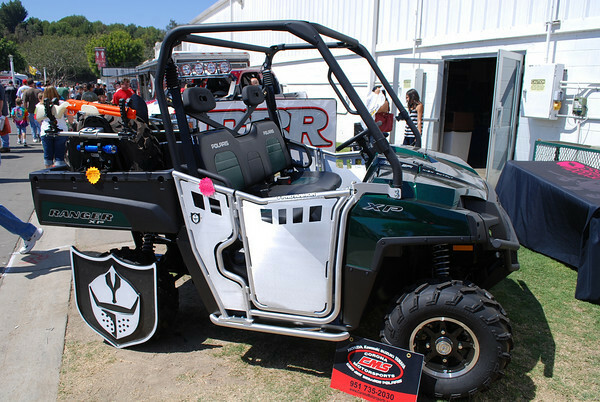 Pro Armor has been super busy. 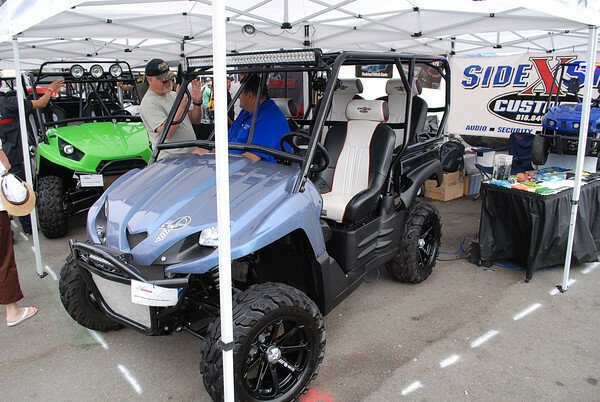 The had to have the most new UTV products on display at the show. 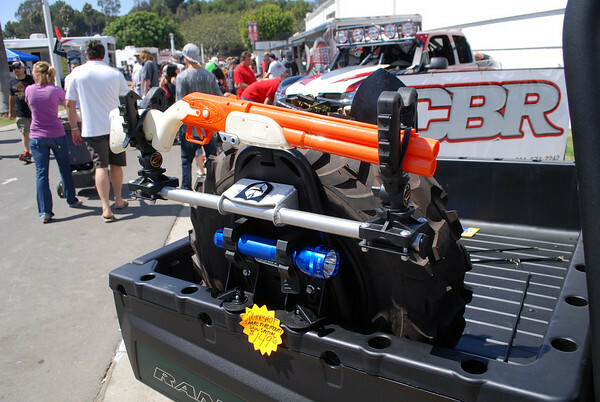 We got our first look at the new Quick Shot, which is a mount & tie down system. 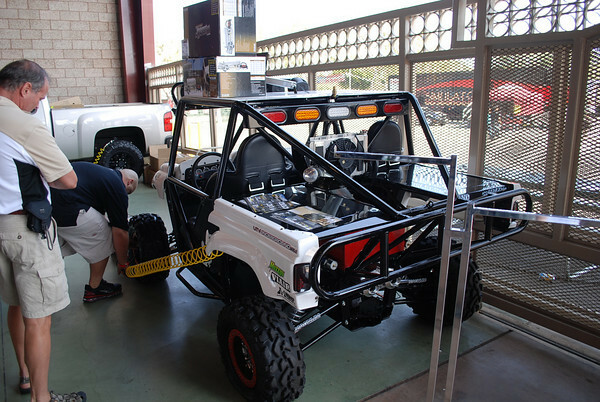 It carries a jack (included) and had mounting holes for Quick Fist mounting hardware as well. 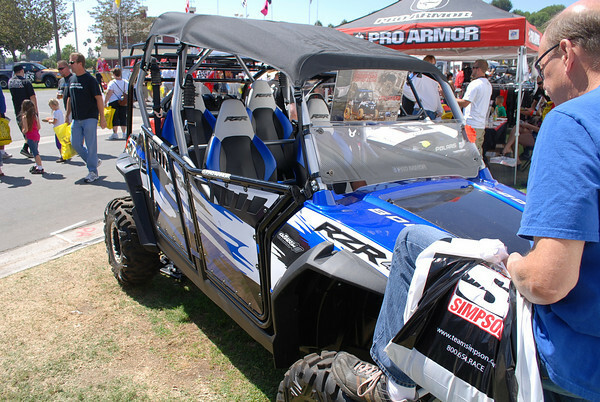 In addition, it has three ratchet straps included so it can function as a spare tire tie down. 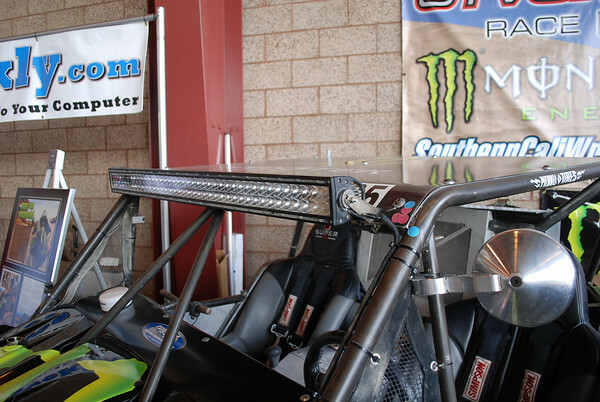 They have added “slam shut” feature to their super popular aluminum doors and the best part is if you already own a set of their doors for your RZR, they have an upgrade kit. 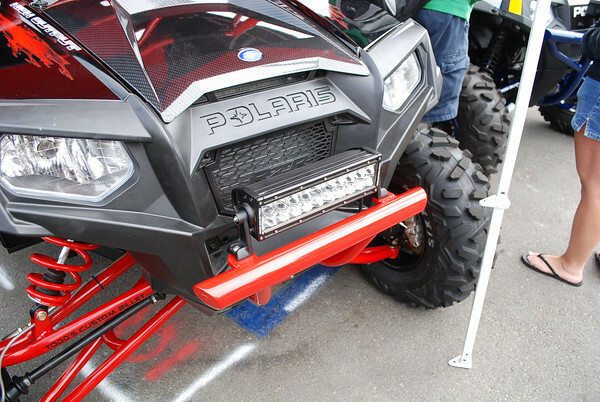 I also spied RZR rock sliders and aluminum doors for the Polaris Ranger. 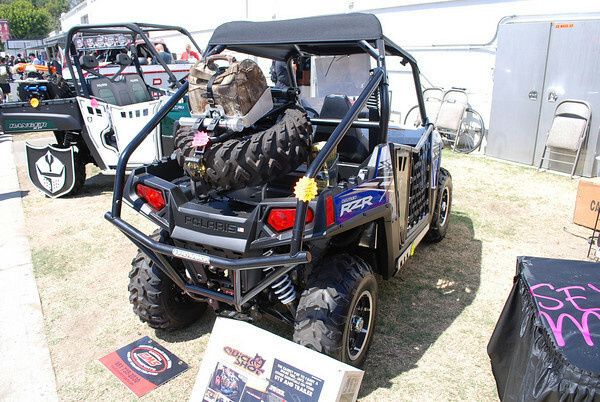 Super clean install of an on-board air compressor and tank in a Yamaha Rhino. 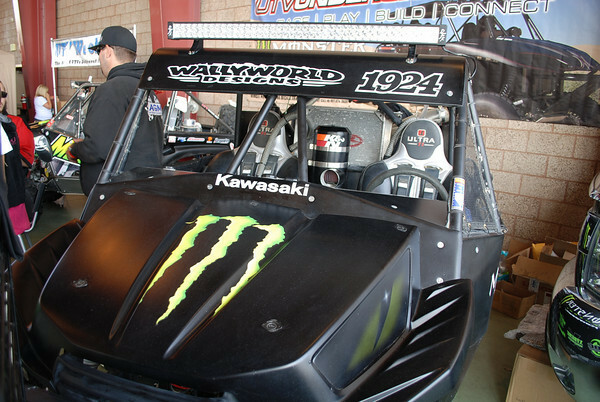 Plus their display of the compressor in the fish tank was pretty cool. 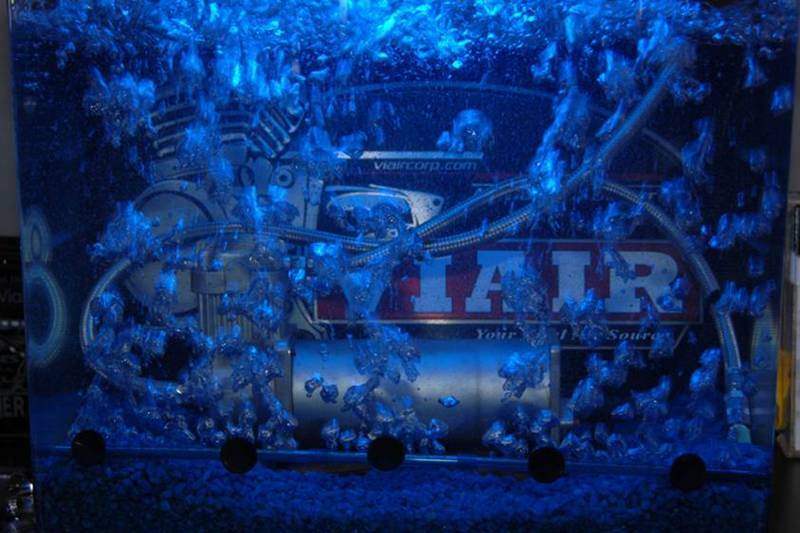 The underwater display illustrated the advanced sealing properties of VIAIR compressors. 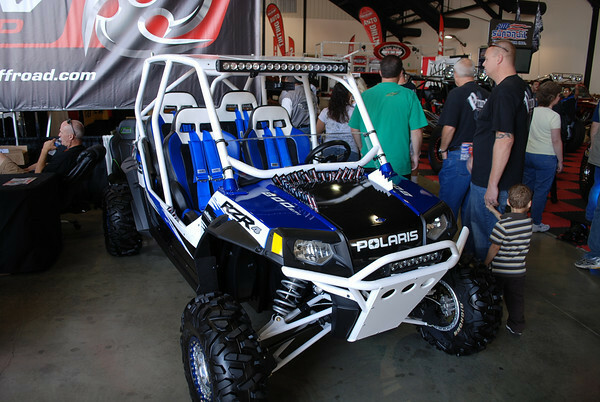 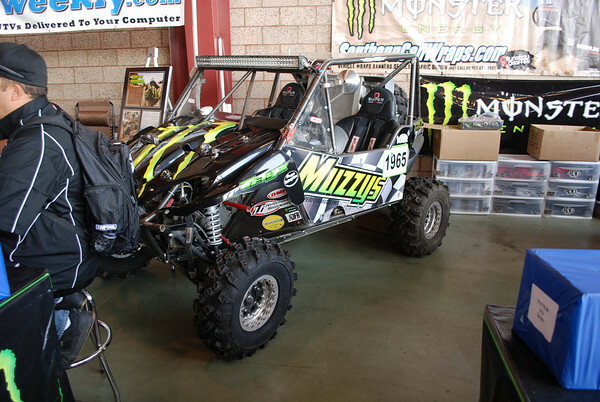 This Polaris RZR 4 is owned by Matt Parks and was built by Holz Racing Products. 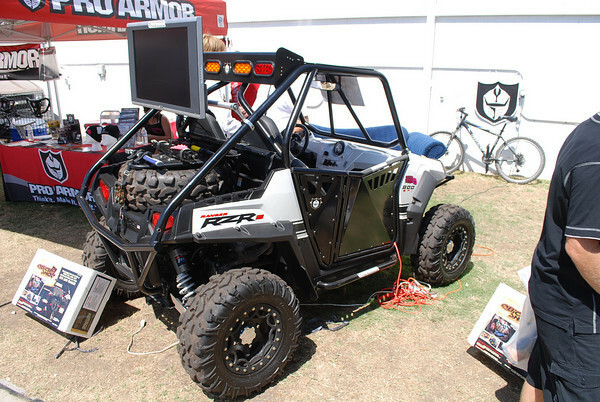 It features a custom HRP chassis and long travel arms. 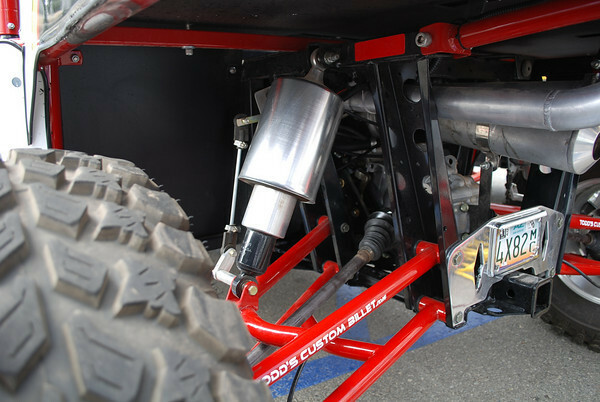 Walker Evans 2.5″ shocks. 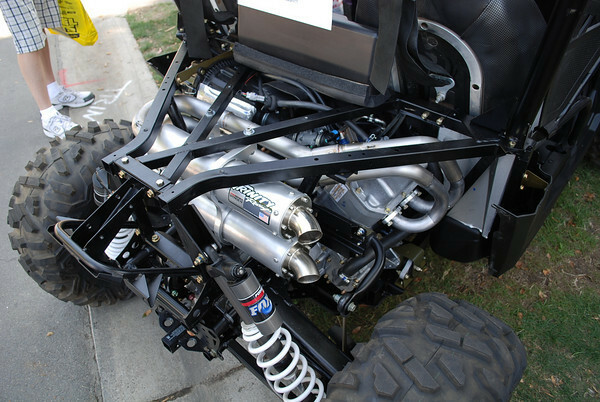 A Holz/Kroyer Stage III 800cc engine and Maxxis Big Horn tires mounted on Walker Evans beadlock wheels.